NOSE: Great Imperial IPA nose. A ton of Amarillo and Centennial hops. Pine resin, pink grapefruit, orange and lemon. Nice undertone of sweetness and bread. TASTE: This one’s a sine wave. Big burst of bitter, citrus hops up front, but fades almost immediately to a sweet, biscuity middle. Then it peaks again with a long, drying, bitter, alcohol-infused finish. Hop profile is mellower than other Imperial IPAs, but they’re still the dominant player. MOUTHFEEL: Not as chewy or sticky as other Imperials, but it has a nice medium body with respectable carbonation. DRINKABILITY: Not bad at all. It drinks pretty easily for a high-ABV Imperial. Not as challenging or complex as others of the style, but it’s a solid beverage. No problem finishing a few of these in a sitting. 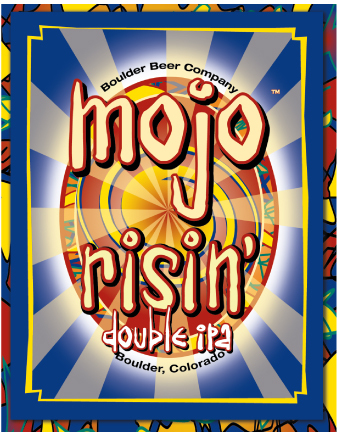 Posted in Tasting Notes.Tagged Boulder, Imperial IPA, Mojo Risin'.